Finally I'm up and running on Facebook, took me long enough. lol Please go check it out, still getting some pictures put up, so it's not to bare. Some funny shots of the kids from Easter last week, I couldn't resist sharing! Man they crack me up. Not sure if you would consider this a true find. I didn't hunt for it, I kinda just stumbled across, didn't even know I needed it, until I saw it. Thought I would get it going a little earlier this week!!! A few highlights from last week! Keeping it short and simple today, I have a zillion things to do before beefcake comes home! Count down is on, he'll be home May 24th!!!! 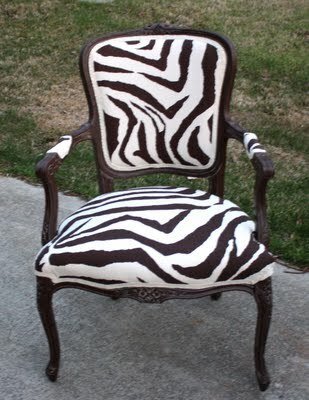 Love this chair from Artichoke Alley. Oh to be my office, this room gets so much attention! lol It's one of my favorites, cause it's all MINE! 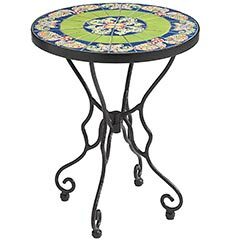 My best girl Courtney has been on the hunt for a little stool I could use as a computer monitor and she found me one!!! If you want Courtney to hunt stuff down for you, or she'll even create you your own masterpiece, check her out. 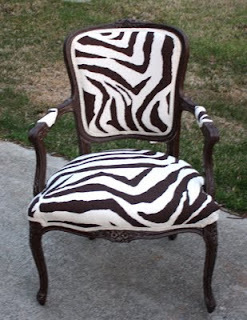 She has an Etsy shop called TimeLessNChic, and she's both! Here you go with the before and after. I just painted her black and added a little bling! 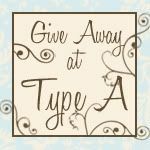 I'm looking for some guest bloggers, any one interested? Hmmm? I'd love to run a guest blog every Monday starting in May. Please leave me a comment, or contact me directly if you'd like to participate. 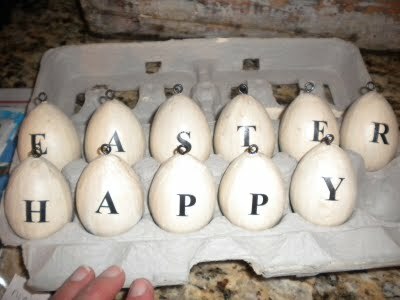 I hope all of you have the Happiest Easter ever! I can't believe it's almost May. Beefcake will be home on the 24th, exactly one month from today. So the bunny slacked this year big time. I had to get a babysitter Friday night so I could get all the stuff I wanted for today. That is cutting it close in my book. Then this morning I had to get up with the sun to assemble all the eggs and hide everything. Which was a ton of fun. I love being the bunny. I'm not gonna lie, I'm not just busting my hump everyday dieting and exercising for perfect health, at least it's not the only reason. I want to feel better about myself, and look good in cute clothes. I'm a girl, we like cute clothes and cute shoes. It's in our DNA. When Beefcake comes home for R&R this Summer he's taking the family to Disney for a week. Hello! Florida, in the summer! I have to be in shape to pull off shorts and little dresses, not to mention a bikini. Let's face it, I'm not getting any younger, so this could be my last year to wear a bikini. This by far was the easiest project I have ever done. I bought some cute white dishes at Marshall's not to long ago, the kind with the ribbon woven through it. I wasn't terrible fond of the red ribbon with white polka dots. I like polka dots, but not on my dining table. Before red with polka dots. After green with artichokes? I couldn't resist shopping my house and bringing my artichokes back out. I love them, cause they are fake and green. I don't miss the polkadots. I haven't decided what to put on them yet, or in them, but they will probably be used as extra storage. They had three sizes available, but I only bought the small and medium one. They would make a great side table too. These two together are the perfect size for that. Remember many moons ago when I asked you to vote on fabric? Well the pillows have arrived! The are GORGEOUS! I'm so in love with them. I bought them online from this fabulous Etsian, This Little Home. She is super friendly and helpful, and totally custom. I wanted Euro Shams, and she didn't even blink, well she might have but I didn't see it. Don't forget I have a weekly 'Anything Goes Party' from Tues-Thurs every week! 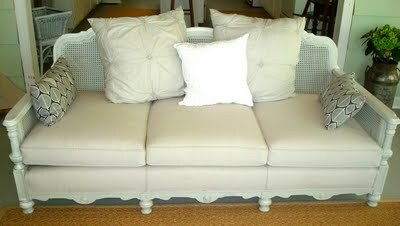 I'm completely gaga over this couch from Crisp Interiors. Why can't I find stuff like this on craigslist? 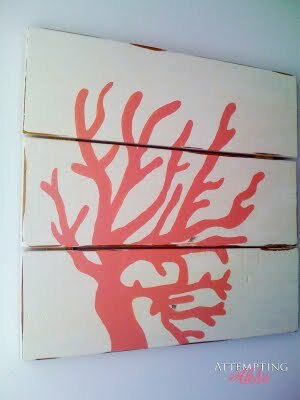 Attempting Aloha made this cool Coral sign, I may have to make one. 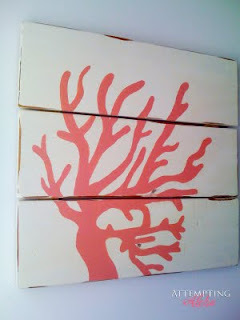 It would go great in my master bathroom, it already looks like the beach. Peas and Crayons made my mouth water with this dish, I heart Thai food! Loving this Pottery Barn knock-off from Elizabeth & Co. It's quite possible, that I have an addiction to my Kitchen. I love adding and changing stuff in this room. I don't even like to cook, I just love my Kitchen. I had this ugly black plastic stool in there for ever. Finally I went to Michael's and bought an unfinished wooden stool and painted it. Of course I painted it! lol I would paint my kids if they let me! Isn't it cute? I spray painted it, I really heart spray paint. I used Colonial Red, favorite red ever! I did prime the stool gray, and then painted a zillion coats of red. I didn't protect it with anything, why bother, it's in the kitchen and the kid are gonna be climbing all over it. I couldn't resist, here's the rest of the kitchen. I can't be for sure, because I don't know every six year old boy on the planet, but my Connor has to be the biggest Star Wars fan on the planet. He lives Star Wars. He asked me once why I hadn't named him Luke. If I had only known, I might have. Recently I bought him some very cool vintage prints for his room, but after they were hung, I took them down and returned them. Just because I love vintage, doesn't mean my boy does. I thought about it, and I kinda felt pretty stupid, Star Wars. What was wrong with me? I should have known better. So I hunted down some Star Wars art on Etsy, and wasn't disappointed. I found some awesome prints for his room. I made a lot of changes this week in his room, it was time to make it even more Big Boy. I bought these from Cutitoutart on Etsy. 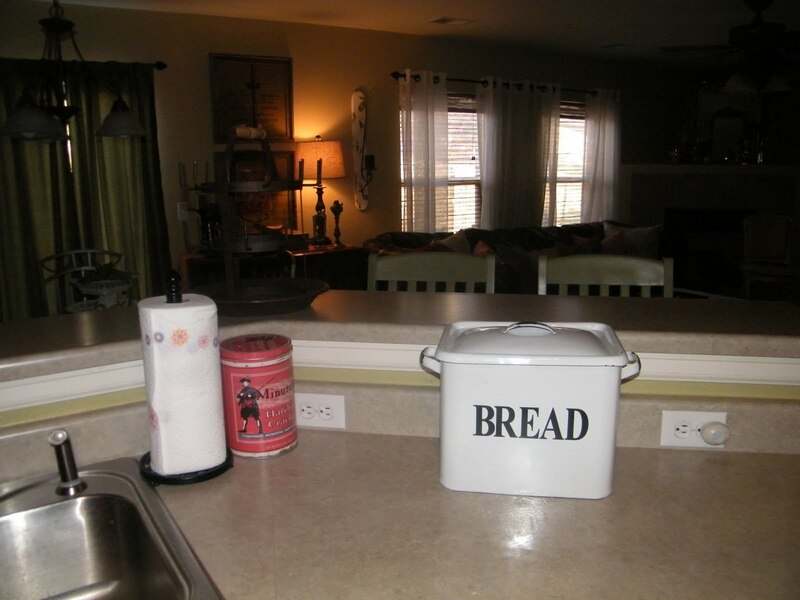 The seller was awesome, more than happy to change the back ground color of each picture. I love how Vader is red, it's such a cool pop of color with the other three in tan. Connor picked which characters he wanted, I was surprised when he said he wanted Han Solo. These are hung right next to the character art. They are blueprints from 1977 of the two of the ships in the movie. The Millennium Falcon and Luke's Land Speeder. I bought these from Goblinhut on Etsy, very cool. Then I found these movie posters at Joneallen, again on Etsy. They were originally 11x17, but I asked if they could be made into 11x14, and of course they could! How awesome is that! I just love the helpful sellers on Etsy and the unique items you can find. Not sure if you remember these, but they were originally red, I decided to tone the red in his room and painted them Almond. I should mention the 5 layers of primer it took to cover the red! Yikes, red is hard to cover. Then I took my chalk and wrote "May the Force be with you" on the top one. The bottom one is a magnet board I made, the magnets are clone trooper, I made them too. How fun! Thanks for stopping by and checking out his big boy room! May the Force be with YOU!! Oh my it's been a good week around here, a gift from a friend and two AWARDS! Wow! 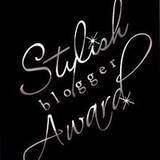 Tanyia at Surviving Motherhood gave me a "Stylish Blogger Award". Susan at Tea Diary gave me a "Kreativ Blogger Award", my first. You ladies are awesome, and I appreciate these more than words! 1. I'm afraid of the open water, I may never go on a cruise. The Titanic has ruined me for ocean liners. 3. My favorite cartoons are Ben 10 Ultimate Alien and Avatar: Last Airbender. I've seen every episode. 5. If you want to make me mad, ask me the same question more than once after I've answered it. 6. I would love to visit Turkey and Greece. I dream about it. 7. Do not for any reason, HONK at me when I'm picking my kid up at school. 8. I have an ornery side, and I fear I will be a grumpy 'Old Lady' someday. Watch out! Okay, so I would like to nominate a few blogs I stalk for the Kreativ Blogger Award. 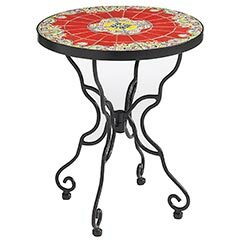 Here are few of the ideas I've been tossing around for my patio. This is the patio, still waiting on the new throw pillows to be delivered. Which little table do you think would work best? 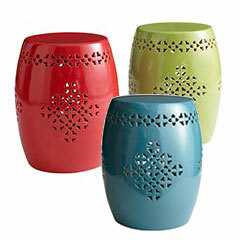 I'm kinda partial to the red stool, but they are all cute. Thanks for stopping by! Any input would be helpful, even if it isn't one of these. I'd love to know what you think! I went to the flea market the other day with a good friend we found NOTHING! Yep, a whole lot of zilch. I was pretty bummed until we went to HomeGoods, and you know, my friend had never been? Crazy right? I got a couple tins, they have a fun vintage feel. My son really like this one, he's learning about Abe at school and he's his favorite President. Funny part is that the 6 year old noticed this way up there! 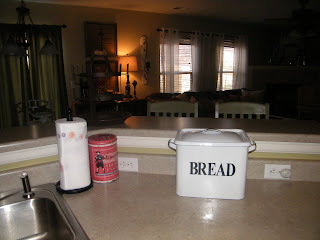 He didn't mention the one on the counter, funny how boys can see what's right in front of them! Then I found Big Ben to go with my Eiffel Tower, and this cute message board with chandeliers. Now I need to make some cute tacks for it. Check out this baby! I've been wanting a wooden bowl for ever. Me and my bestie answered a craigslist add, and this baby was on the lady's basement floor waiting for me!!! Chicken towels from Joann's, 1/2 off. This next item needs background music, or mood lighting. I swear when I saw it sitting on the shelf at Pier 1 my heart stopped. I didn't need to replace the lamp on the trunk, I was actually shopping for a lamp to go on the yellow buffet. It could not be helped, I'm in love with this lamp. Close up, yep goldish mercury glass! I swear angels are singing some where. I've been wanting a bottle holder forever, well for a long time, and I finally found one. Love this, can't wait to find some cute coffee mugs to hang on it!